Refreshing Canada Day Sparkling Wheymonade! Happy Canada Day! This is a day that in many Canadians, symbolizes the start of summer, time for BBQ/Grilling and refreshing drinks. I have one that I just made and I thought it would be good to share. Especially given the fact it is made with whey! Yes you read that right, whey! Cool, refreshing and made with whey! I am often asked what I do with my leftover whey, there are lots are things you can do with it. Feed tomatoes, bake, cook, drink it…yes you can drink it! I like to sample whey from each batch of cheese I make, I enjoy it. Last weekend I made another batch of Little Squirrels, but with a twist. During the first few hours of draining there is a lot of whey and this time I did not want to waste it. 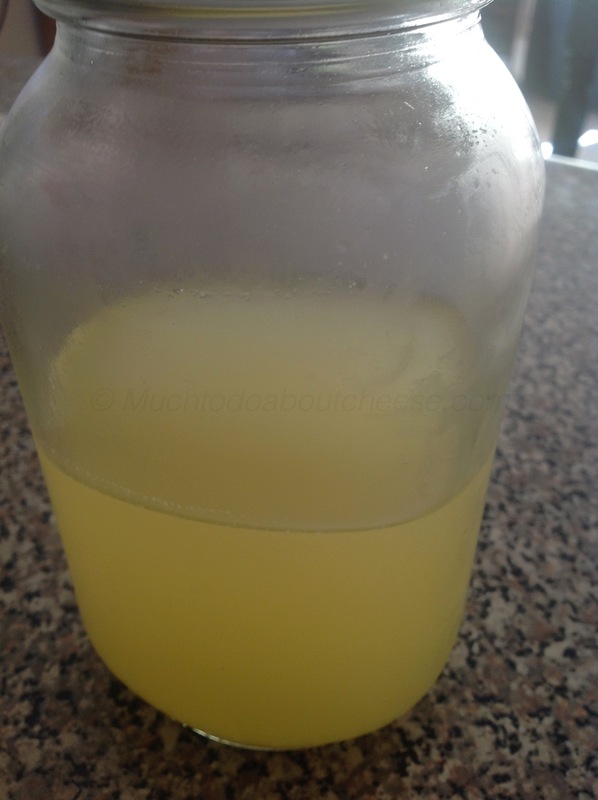 So after watering my tomatoes I decided to experiment and make some Whey Lemonade! First I strained and then boiled the whey. 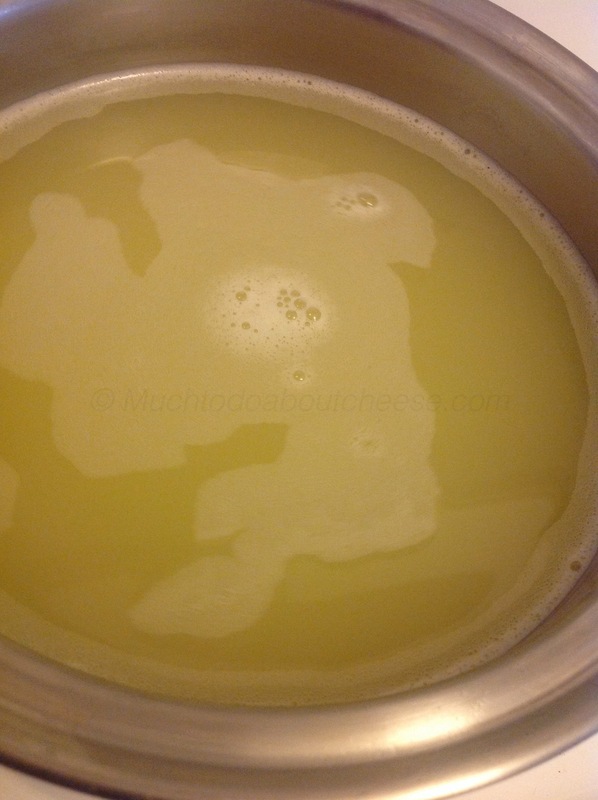 Normally I would not think of boiling the whey, but I had some mould in play from the PLA I used and I did not know how it would affect the flavour down the road. I could have used sugar, but I am trying to avoid refined sugars and this local hone has a nice flavour. I even use it in my coffee. Once the wheymonade had cooled I poured it into a mason jar. I am having a hard time drinking it in moderation. Bring your filtered whey up to the boil and let it boil gently for a few minutes. Please be careful, it can boil over easily. 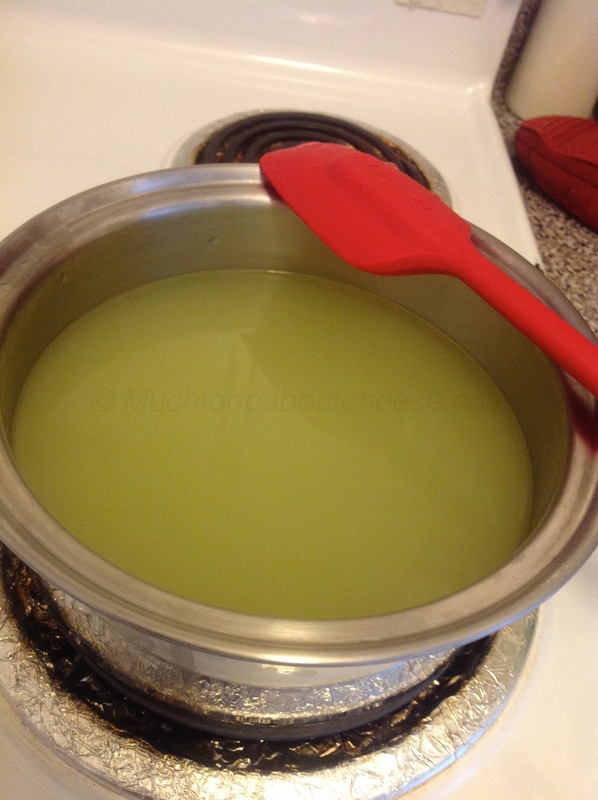 Once you have boiled the whey, turn off the heat and add the juice and honey. Stir to combine, and then let the mixture cool. 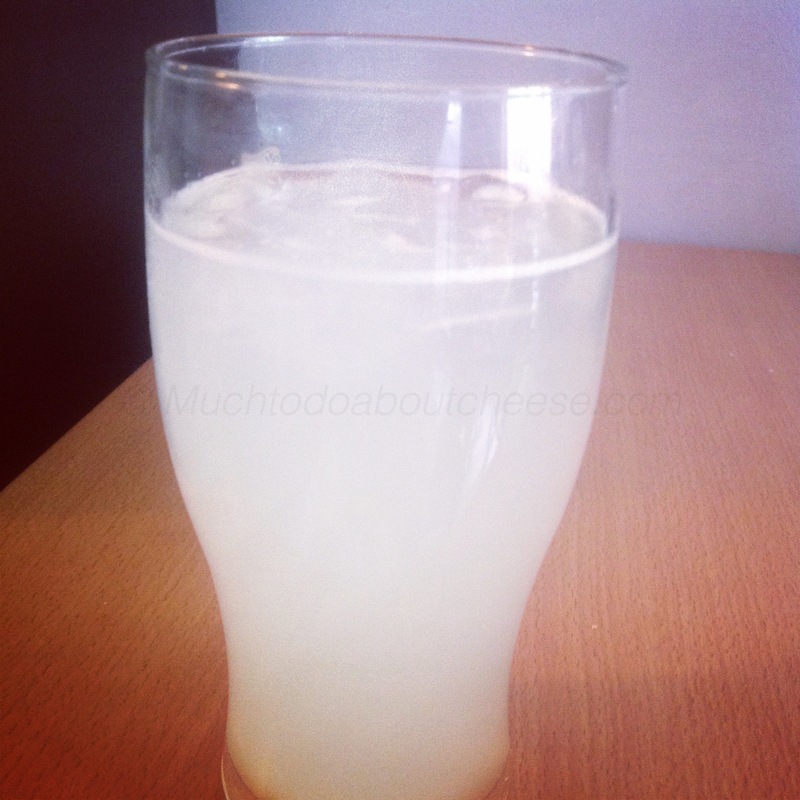 Taste the wheymonade while it is still warm so you can adjust the levels of lemon or sweetness if needed. Once cool pour into your containers and refrigerate and consume within the week. I made it into a spritzer by adding sparkling mineral water. 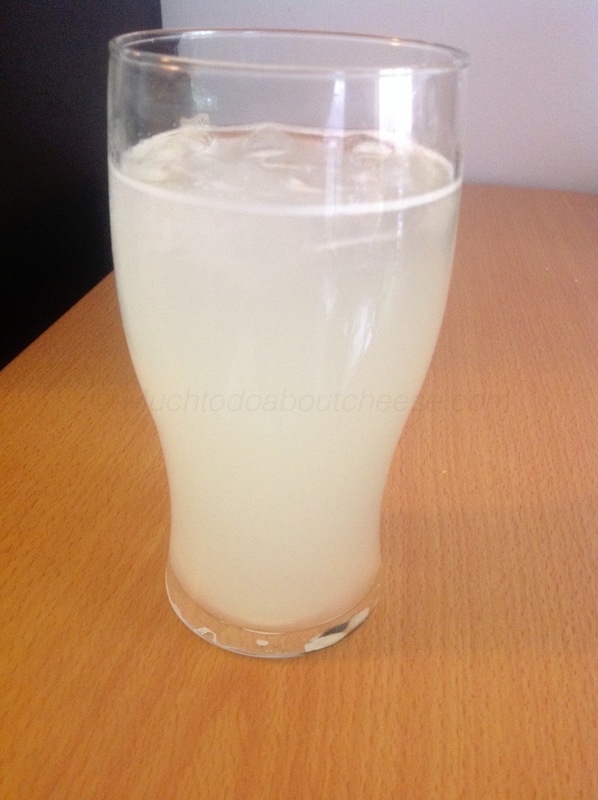 Fill glass with ice, then add one part wheymonade, and two parts sparkling mineral water. It was suggested that some quality gin would go nice with the spritzer, I will leave that up to you as gin and I have a troubled relationship. Enjoy your Canada Day wherever you are, even if you aren’t a Canadian! That looks great!! I will have to try that. I used to add whey to unfiltered apple juice when I was in Italy and it was fantastic. I have a couple of guys that get it from us to make a ‘porridge’ of sorts with it. Thanks, I just can’t seem to get enough of it. I might have to make more cheese just so I can get whey. I also enjoy wheymonade. Thanks for the post.